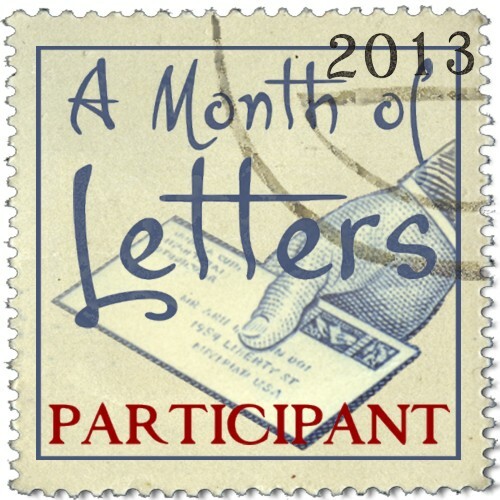 For the second year, I am participating in the Month of Letters, a challenge created by Mary Robinette Kowal to mail something every day (that the mail is in operation) in February. That’s twenty-three letters, because of Sundays and President’s Day. Last year, in spite of high hopes, I just made it to the goal, thanks to a few special Leap Day mailings. 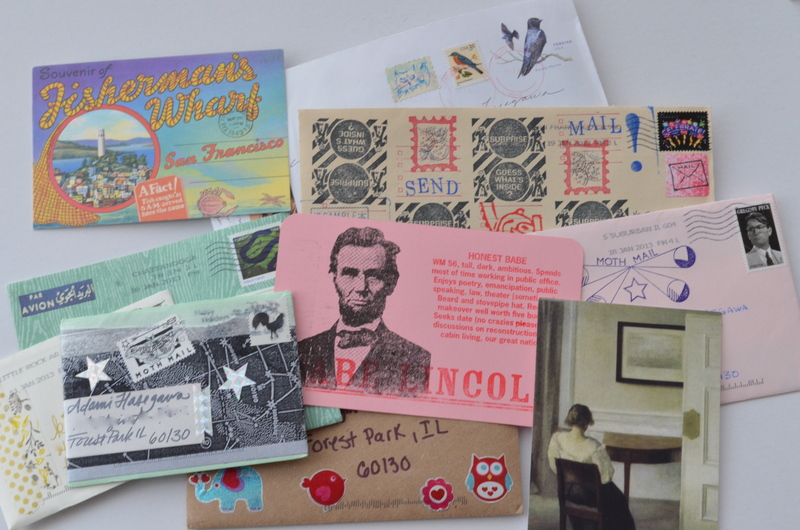 This year, I’m raising the bar: I want to mail at least one thing every day for the month of February. This year, I have far more letter writing friends than last year, so it should be attainable (as long as I’m not lazy). And, I’ve embraced the postcard as a quick, thoughtful means of communication…even a few sentences can brighten someone’s mailbox (and sometimes I don’t feel like decorating an envelope). Letter Month is a perfect way for me to spend out some of my stationery stash, too! I’ll be posting my daily mailings on Instagram (adamihasegawa) if you’re interested in following along. So far 2013 has been a good mail year, and this week I’ll be finishing the responses to these sweet missives from my mailbox this month–a fresh start for February! In other news, today it’s sixty degrees in Chicago…which makes my SNOW! post from Friday just seem ridiculous. I’m off to take advantage of the warm weather by running some errands and breathing in the spring-like air. Good for you. Wishing you luck with this challenge. Will help the struggling postal service. A month of letters is so impressive I donot dare to even think about it. Lovely to see my reading lady in the picture. I signed up for it but I am not sure I will end up doing it. So, good luck to you!!! I haven’t heard about this challenge but it sounds awesome! I am currently doing the 52 weeks of Mail challenge though (1 piece of mail each week of the year). Letter Month has been a really great challenge for me! So far I’ve sent 25 pieces this month, and mail has become a daily habit. The 52 weeks sounds like fun, it would definitely keep me on track with responding to my letters in a more timely manner!